The Extinction Rebellion group is planning to create a roadblock on the main route between the Old and New Towns from about 3pm and through the rush hour. Four climate change protesters from Extinction Rebellion climbing the Finnieston Crane, Glasgow. 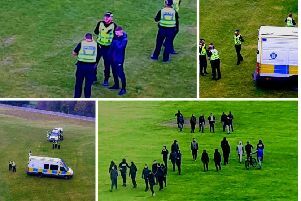 Superintendent Bob Paris said: “We are aware of a planned demonstration within Edinburgh city centre on Tuesday 16 April. A policing operation is in place to provide a proportionate response to any protest activity. In January, around 40 Extinction Rebellion activists peacefully occupied the debating chamber at the Scottish Parliament, staging an hour-long sit-in. Traffic in Edinburgh city centre could be brought to a standstill - but one local councillor says the “radical action” is needed. 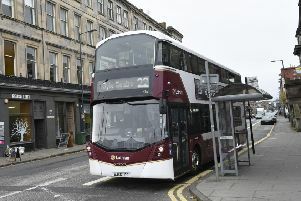 Gavin Corbett, green councillor for Fountainbridge/Craiglockhart, said: “I’m sure that the first reaction of many readers will be annoyance about the disruption. “Extinction Rebellion have recognised that and apologised for it in advance.